I have a large grand staff mat that I created from a plain white table cloth. 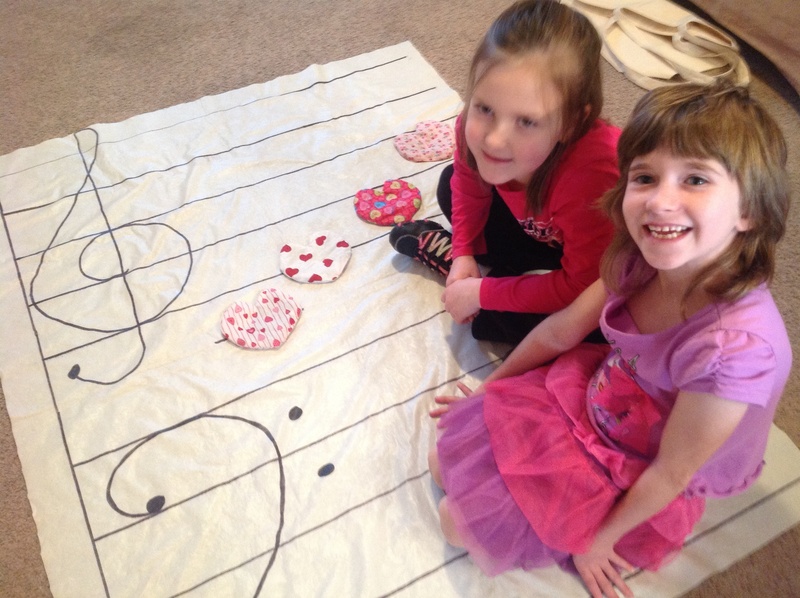 For some added Valentine fun, my daughter, Amber and I made bean bag hearts to use this season in place of our circular bean bag notes. The students have loved them! 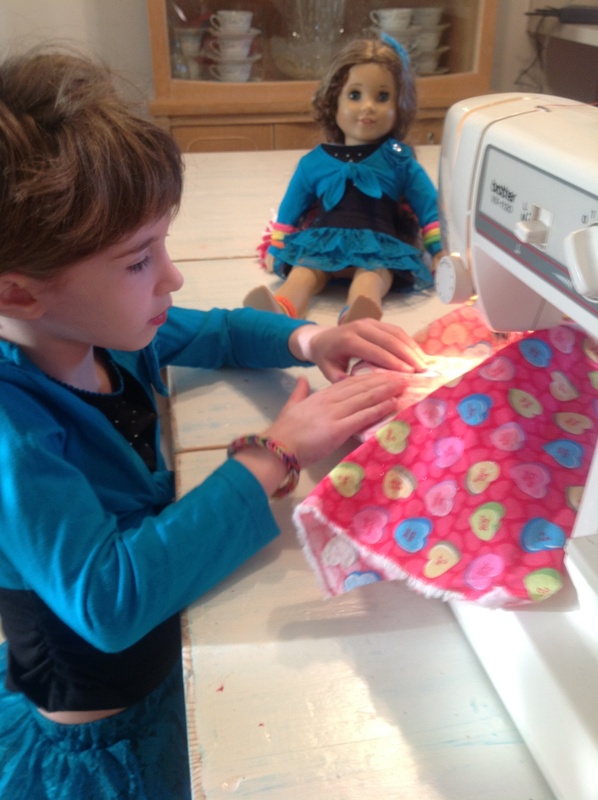 The staff mat has been a great learning tool for both my group and private lessons.